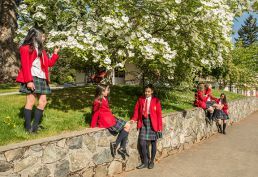 Boarding at St. Margaret’s School provides a unique opportunity to live and study in an urban-rural setting. Located on 22 beautiful acres, our campus is in a safe residential neighbourhood at the border of a rural greenbelt with access to walking and cycling trails. 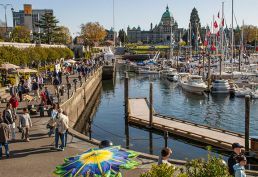 The school is also just minutes from the downtown of Victoria, Canada’s most beautiful city and the vibrant capital of British Columbia. 5-Day Boarding Option – Now Available! Challenge yourself during the week at a top all-girls school, then relax and enjoy the weekend at home with your family and friends! Global Immersion: live, study and make friends with girls from all over the world – India, China, Germany, Mexico, Nigeria and Japan. Experience Independence: get ready for the transition to university. Spacious Residence Rooms: each double room has an en suite bathroom and plenty of storage. Delicious Food: enjoy three tasty, nutritious meals daily plus snacks in the dining hall – and each residence has a newly renovated kitchen. Focus on School: concentrate on studying without distractions during the week. Campus: our 22-acre green campus is in a safe and secure residential area, yet just 15 minutes away from downtown Victoria. Welcome Home: Families love our secure, and natural environment, and students thrive in our nurturing community surrounded by motivated peers, and experienced staff. One of the Family: Our residence model is designed to create a welcoming home-away-from-home. 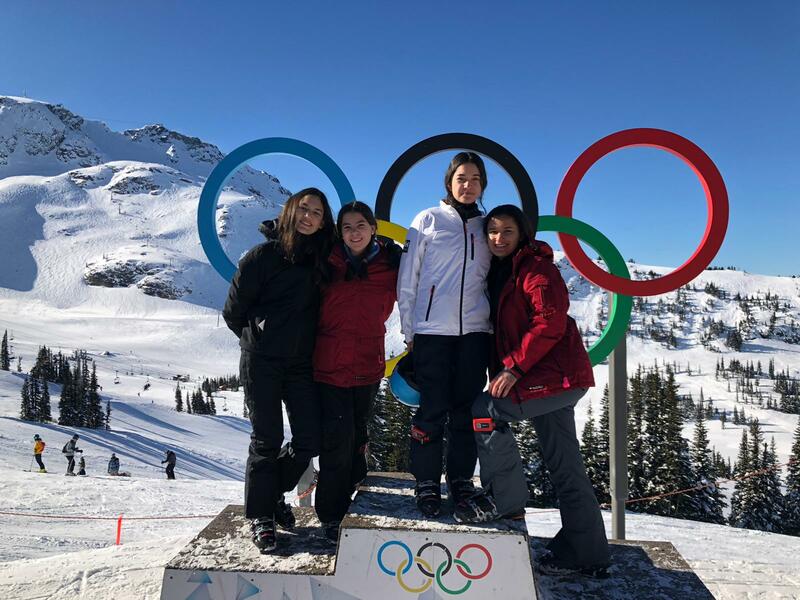 Health and Wellness: Boarding students have access to onsite medical care and counselling, as well as a range of wellness activities. Beyond Academics: Balancing academics and extracurricular activities, while learning to live independently in a diverse community can be challenging. We guide residents daily as they navigate choices related to friendships, balancing work, extra-curricular activities and play, personal care and wellness, safety and personal security, and other age-appropriate life skills for emerging young adults. Personal Growth: Residence life is centred on the development of our students and preparing them for rewarding lives outside the classroom. 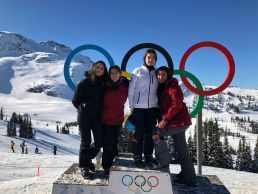 Adventures Abroad: Weekend trips and adventurous excursions are offered as part of life in residence, taking advantage of the natural wonders of the West Coast. You will be immersed in learning: boarding schools offer a balanced program where school is much more than academics with clubs, athletics and other extracurricular opportunities at your doorstep. You will have an adventure: studying in another part of the country or the world offers a chance to explore and step outside your comfort zone. After-school and weekend activities provide diverse experiences and memorable adventures. You will be prepared for the future: life in residence closely resembles a post-secondary environment, making your transition to university an easy one. You will learn to manage your time and balance school life, free time, and studies. Situated on the southern tip of Vancouver Island, Victoria is the capital of British Columbia and one of the most beautiful cities in Canada. It is a small city, well known for its cultural attractions, recreational opportunities, temperate climate, and natural surroundings. Our campus is located in a quiet neighbourhood minutes from downtown Victoria. It is less than 30 minutes from Victoria International Airport and the BC Ferries terminal, making our school easily accessible to families visiting from out of town. 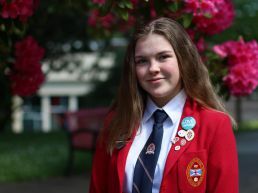 The SMS residence community is a nurturing environment that empowers young women to develop academically, socially, and morally, preparing them for the challenges and opportunities that lie ahead. Residence houses: all four houses (Barton, Fenwick, French, and Pearce) are not typical dormitories and are nestled in a quiet corner of our campus. Residence facilities: Houses have 18 modern rooms, each room features a private bathroom and accommodates two girls. Residence houses offer convenient access to school athletic and academic facilities including the tennis courts, gyms, fitness centre, dance/yoga studio, computer and language labs, and music rooms. 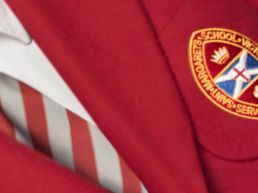 House parents: our residence houses are staffed by a dedicated team of house parents. There is a live-in house parent for each residence house, along with a dedicated team that provides support in each house during the day, and throughout the night. Dining: Residence students are served three healthy meals and snacks in Alexis Hall. Laundry: Students can choose to do their laundry in their houses for $1, or have it done on laundry day. Health Centre: Open from Monday to Friday and is staffed with a nurse, physician, and counsellor. Our health care team help schedule student off-campus medical and health care appointments. 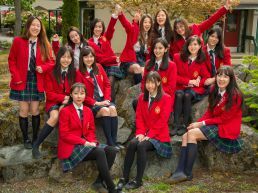 Transportation: our school transport team provides regular service to downtown Victoria, the BC Ferries terminal, and Victoria International Airport. Taxis and public transit are another option and the cost of taxi rides can be charged directly to the student’s account. Homestays: SMS can arrange accommodations with a local family for students not planning to travel home over school holidays and residence closures. Security: Our campus is patrolled by a security guard in the evenings and weekends, and house parents are always on duty when students are in the residence houses. 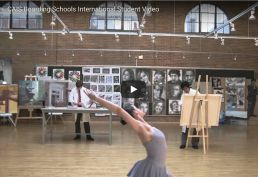 The Canadian Accredited Independent Schools (CAIS) puts it this way in their video about The International Boarding Experience: By providing both day and boarding programs all of our students benefit from encountering peers from diverse backgrounds and gain an international perspective that will stay with them their whole lives.